A long time ago, Agatha Christie imagined a train coming to a halt in a snowdrift somewhere in Croatia. By the morning, one of the passengers was dead. Eighty years later, a group, only slightly larger than Hercule Poirot’s pool of suspects, gathered in a room in modern Zagreb to plot another fiendish murder. The victim, this time, would be …. traditional diatom taxonomy. “Murder” is far too strong a term for this particular whodunit; maybe I should say “aiding and abetting” rather than actually committing the crime, but I think the outcome might be the same. 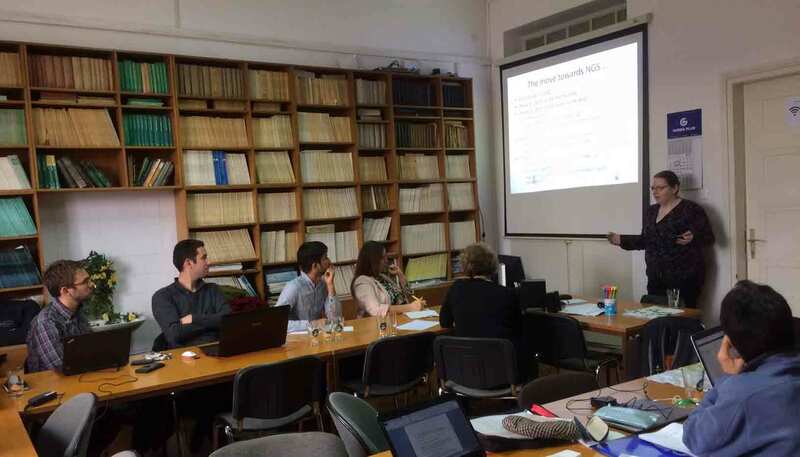 The conspirators in Zagreb are all involved in developing methods that use molecular barcoding to identify diatoms and have been busily collecting sequences of the many diatom species in order to establish the libraries that we need to link these barcodes to the appropriate Linnaean binomial. Some years into this, we still have no more than about 15% of freshwater diatom species matched to barcodes. We are starting to think about ways of filling in the gaps more quickly than is possible using the conventional approach of isolating a diatom, growing it in culture and then sequencing the appropriate marker genes. The most radical of these alternatives is to by-pass Linnaean binomials altogether and classify diatoms by their barcodes alone – as “operational taxonomic units” or OTUs. Most of us have spent most of our careers using morphology-based taxonomy and any move away seems like an act of treachery towards a fundamental tenet of our craft. But the time has come to take a dispassionate view and ask what a species name brings to ecology. At a very practical level, the use of Linnaean binomials makes it much easier for us to compare data with colleagues and with records in the literature. Taxonomists would argue that their work helps us to understand the relationships between species but, unfortunately, in this particular branch of science, we make little use of these relationships, and the role of taxonomy is primarily to give us a consistent means of organising the myriad tiny pieces of silica which we find in our samples. That business of consistent naming could, in theory, be performed for barcodes just as efficiently using digital tags as OTUs and this would also work for the 85% of species where the link between traditional morphology-based taxonomy and marker genes has not yet been established. So what about the link that Linnaean binomials give us to established knowledge? Here, again, we need to be brutally frank: ecological information for most freshwater diatoms is limited to information about preferences for hardness/alkalinity, inorganic nutrients, organic pollution, acidity and salinity and that information can be replicated very easily by linking files of metabarcoding and environmental data. There are very few experimental studies that offer insights into the ecology of freshwater benthic diatoms beyond that gained from looking for associations between diatom distribution and a few common variables. The plotters plotting … DNAqua-net workshop in Zagreb, November 2017. 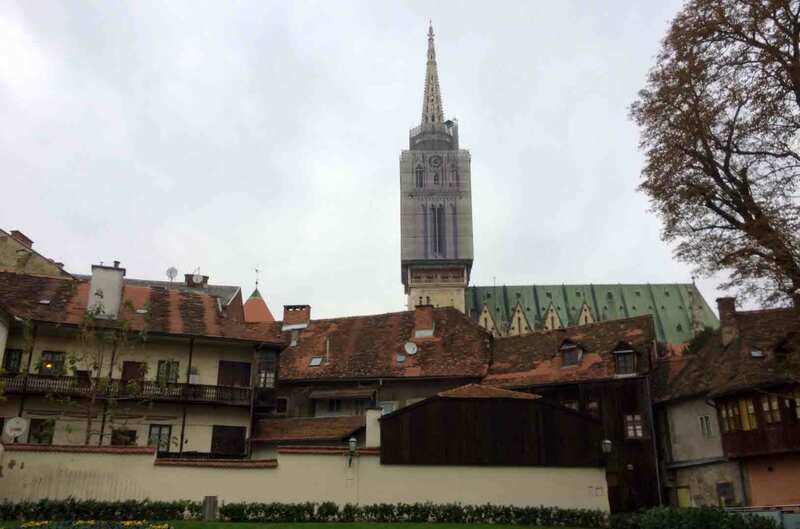 The top photograph shows Zagreb cathedral against the skyline. The problem is not that we do not see the merits of traditional Linnaean taxonomy, it is that we cannot make a strong case for the funding necessary to collect barcodes for all species. The final downward thrust of the dagger will, in other words, be inflicted by the bureaucrats whose budgets will not stretch to cataloguing the enormous breadth of algal diversity. Diatoms sit in the awkward middle ground between larger organisms such as fish where any suggestion of not using traditional taxonomy would be greeted with derision and the microbial world where the idea of applying Linnaean binomials to the enormous diversity uncovered by molecular techniques is equally risible. Diatom names mean little to the bureaucrats who manage our environmental agencies and, given the choice between a spreadsheet of incomprehensible Latin names or one of equally incomprehensible OTUs, all else being equal, they will choose the cheapest. “All else being equal” is the key phrase. I think that there is growing awareness now that one downside of barcoding is that it risks sidestepping the need for trained biologists at all: samples will be collected by technicians, processed in high-throughput laboratories and results churned out through black box computer programs. The situation for diatoms is worse than for most groups of organisms used for ecological assessment because so much attention is given to the laboratory stages of producing a list of taxa and relative abundances. We are, however, now approaching the point when DNA sequencers can produce data of equivalent sensitivity to that produced by light microscopy. The message that barcoding has the potential to be a good friend but a poor master could be lost as our paymasters recognise the potential for reducing costs. What we need to do now is use those “little grey cells” to ensure that good biological insight is not the victim of a heinous crime. This entry was posted in diatoms, ecological assessment and tagged Croatia, diatom, metabaracoding, Zagreb. Bookmark the permalink.